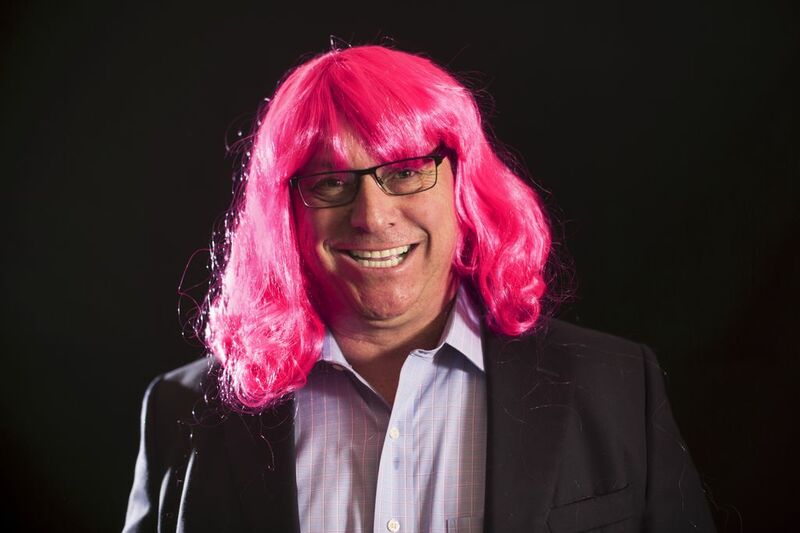 Milwaukee residents recently saw 10 local executives and community leaders, dubbed “BigWigs”, wearing bright pink wigs throughout the area, all in an effort to raise awareness and funds for Susan G. Komen Southeast Wisconsin. John Utz, Milwaukee market president and head of corporate banking at Associated Bank, was one of the inaugural 2016 Komen Southeast Wisconsin BigWigs. Susan G. Komen Southeast Wisconsin is a nonprofit organization dedicated to fighting breast cancer by educating individuals about breast cancer risk factors, the importance of early detection and the resources available to them. Komen Southeast Wisconsin also funds programs that support those in the fight to save lives. The BigWigs committed to raise at least $5,000 each and hit the streets in their pink wigs on Monday, February 8. The campaign will last up until the ultimate “BiggestWig” is crowned at Komen’s cocktail reception, PINK! on Thursday, March 10, at the Hilton. Since 1999, Komen Southeast Wisconsin has invested over $9.2 million into the local community. This past year alone, vital services have been provided to women and men, including 3,043 clinical breast exams, 1,171 received financial assistance, 1,743 screening mammograms, 223 diagnostic services and education to 21,059 people. Komen Southeast Wisconsin has also invested over $3.3 million in national breast cancer research. Together with sister affiliates across the country, Susan G. Komen has invested $840 million in breast cancer research through over 2,400 research grants and 450 clinical trials.